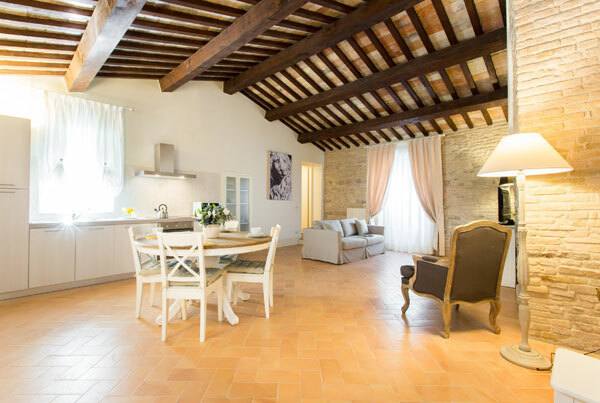 Palazzo Gentili is a historic residence of the 16th century situated in one of the most charming squares of Italy: Piazza del Popolo in San Severino Marche is the heart of an enchanting town. Completely refurbished with care and attention to detail, it offers unique and private accommodation, alluring garden and elegant historic rooms for exclusive events. Furthermore, a superb wellness centre, open to the public, created in the most historic part of the building, completes the experience. Palazzo Gentili is the perfect venue for those who love to discover authentic Italy and Marche – their beauty is found through history, art, religion, handcrafts, fine foods and between mountains, hills and sea. 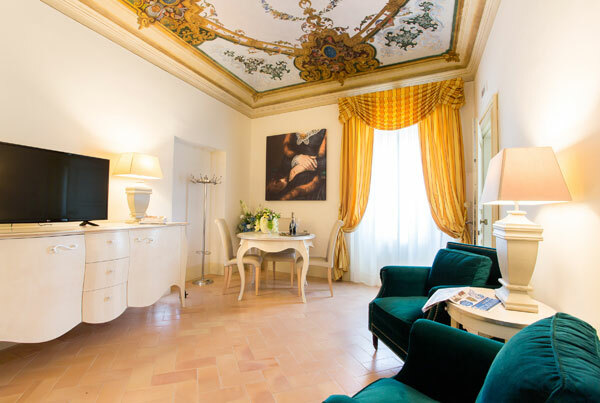 The 10 accommodations of Palazzo Gentili combine comfort, relaxation, tradition and beauty, in superb ambiences with unique and original details: historic frescos, vaulted ceilings, beams, aristocratic decor, and extraordinary views. The perfect choice for an unforgettable experience while staying in a charming and welcoming historic residence. The Suites and the apartments can host up to 5 people each on a self-catering basis and have a private bathroom with courtesy set and hairdryer, linen and towels, heating system, LED TV, complimentary Wi-Fi access, safety box. 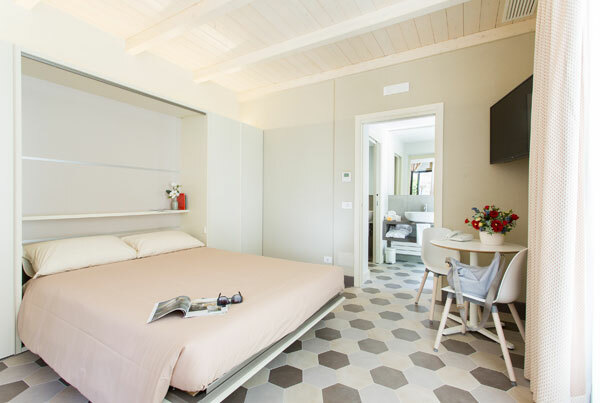 Palazzo Gentili is the perfect solution for the travelers who love the charms of Italy and its treasures, exploring the territory in absolute autonomy, discovering the culture, nature, the traditions and the quality food offered by this region. Intimacy and suggestive atmospheres are ensured for a romantic getaway or to celebrate important moments of their lifetime. If active sport is your passion, the territory has much to offer: mountain biking, moto crossing, gammoning, horse-back riding, and many excursions. The territory, once part of the Papal State, has a fascinating religious heritage with much of it to enjoy: sanctuaries, abbeys and hermitages. Spaces on self-catering basis are the ideal for families with children. Palazzo Gentili has a rich art heritage to be admired. It is the starting point for the discovery of the rich cultural patrimony of the Marche. If food is your passion, then San Severino Marche will delight you with traditional recipes as well as gourmet food. The local restaurants in the surrounding areas will delight you with an excellent gourmet experience. Exit Valdichiana. Take the connection 6 Bettolle-Perugia direction Perugia. Continue on SS75 to Foligno and then take SS77 direction Macerata Tolentino Ovest and proceed to Tolentino Centro/San Severino Marche. Take SP127 direction San Severino Marche, then SP361 Septempedana to San San Severino Marche. When arrived, follow directions to city centre/Piazza del Popolo. A14 Motorway Exit Civitanova Marche- Macerata. Take the SS 77 direction Foligino/Macerata. Exit Tolentino Est. keep on SP 127 towards Tolentino and follow signs to San Severino Marche. When arrived, follow directions to city centre/Piazza del Popolo. A1 motorway, exit Orte. Take E45 direction Terni and continue on SS3 direction Foligno, exit Val di Chienti, then proceed on SS77 to Macerata. Exit Tolentino Ovest and then follow signs to Tolentino Centro/San Severino Marche. Take SP127 direction San Severino Marche, then SP361 Septempedana to San Severino Marche. When arrived, follow directions to city centre/Piazza del Popolo. * Public disc parking area available in Piazza del Popolo, in front of Palazzo Gentili. While in Via San Giovanni, only 150 m away from the Palazzo Gentili, free public parking area available.